We’ve contacted our friends at Dritz, USA and June Tailor to hook us up with some great sewing tools and accessories. Watch over the coming months as we equip our studio. There will be prizes for you as well, so follow us on Facebook to join in the fun. To start us off, comment here with your best storage or organization idea for a chance to win a 18-spool assortment of Dual Duty XP in a handy zippered case. Follow us on Facebook for more give-aways this month. My favorite storage idea I’ve come up with is to recycle some cheap wooden coffee mug trees (ones with straight arms) into ribbon spool holders. It has the added benefit of providing some colorful decoration to my craft room. My favorite organization idea is pegboard. Paint it to match your sewing space, frame it or leave it plain. There are so many different hangers, hooks, and baskets available now. It makes for a tidy space and my supplies are (finally!) easy to find. With so many people living in ever smaller houses, I’ve seen so many great examples of sewing and crafting areas built into a small cupboard or wardrobe. Close the doors to hide it all away, and open the doors, pull up a chair to work with everything you need within arms reach. Keeps everything neat, tidy and organised and its a great way to stop buying more and more. Once the space is full – you’re done! Thanks for the giveaway, the sewing studio looks great. Would love to visit one day. I use an over the door shoe organizer to sort and store my serger thread. Also an old Tester’s Paint rack salvedged from a defunct hobby store holds almost all my regular machine spools. I don’t have much of a storage space for sewing goodies so I reuse what I do have when emptying out containers. For instance, I use tins from my French Vanilla Cream Wafer Rolls (cookies) to store things like ric-rac, bias trim, etc. They fit very well in a tote! Love the cookies too! 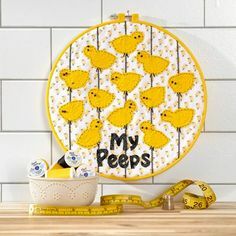 LOL Thanks for the giveaway and love your sewing studio so far!! I love magazine or comic book backers used as mini bolts for fabric. 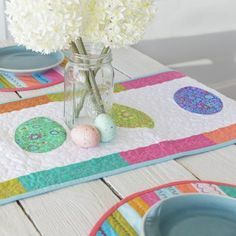 They make everything look so tidy and for a scrappy project you can put all the fabrics on one board and you are ready to go. I also use clear shoeboxes for wips – you can see what’s inside and it stays dust free. My sewing tip is probably more related to quilting than garment sewing. I purchased a plastic tablecloth from the dollar store. I added clips to the drop ceiling in my basement sewing area. I hung the tablecloth from the clips with the fuzzy side out (plastic side against the wall). Works great (and very inexpensive) as a staging/audition area for my current quilting projects as the quilting fabric sticks to the tablcloth backing. My favorite way to organize is to use clear, stackable storage containers and use a label maker…so easy to see what you have and to find what you need without wasting precious ‘creating’ time! I’m still looking for some way to get my craft supplies organized. But I’m enjoying all the tips! Thanks for the giveaway! I use wire baskets from home improvement store. I put them under my sewing table so when I would cut out patters or quilts I could store all the pieces there and they were hand when I needed them I also stored stored my extra supplies in one. Wow! So much storage is a dream come true. I have a pencil/pen holder that revolves. It is handy for marking pens and my scissors. Some colorful baskets for storage would look great on the counters. My storage solution is mason jars. The lids are screwed under the shelves, and cabinets. They hold strips of fabric, buttons, needles, etc. Thank you for a chance to win! My quick and clever storage idea was to repurpose an old desktop carousel into a sewing table storage for all those items that I need at my fingertips and don’t want to go hunting for when I’m in the middle of a seam. I feel that one of the best ideas I’ve had is to store items in clear plastic totes and then on shelves if you’d like. With so many sizes available, you can fit your smallest grouping of materials to your largest, have them easily at hand and sight-accessible and the added bonus is keeping your materials clean. I prefer see through containers to hold sewing thread and serger thread, as well as cords, zippers, elastic, bias tape and other notions, and I like things in stackable containers. Labeling of each container is critical. I like using project boxes, too, where I assemble everything I need for making something, including the fabric, interfacing, thread and a wound bobbin, buttons, zipper, pattern, etc. I may have several projects going at one time, so it is nice to have each one all in one place when I have some time to devote to one or another. Comment *My favorite storage idea is canning jars and even a nut and bolt container in the hardware department. Canning jars hold any and everything and the little nut and bolt containers hold all sorts of little items including my thread spools, scissors, and tweezers along with my hemming pins and quilting weights. They come in all sizes and colors. My favorite storage solution in my sewing space are my cigar boxes. i have placed label holders on the side then store them sideways in my sewing closet shelves. It makes it easy to change the label if i decide to use it for different sewing supplies.They are also just the right size for many of my supplies. Due to disability I needed modify my area for quilting. I am having built an ironing : cutting station that will allow me to iron full yardage of fabric. Cubicles instead of legs on either end to house my iron, tools and sprays. A separate board with a cleats can be placed over the iron area and will be fitted with cutting mat. Under neath separate rolling sterilite drawers for fabric scrapes. So I can continue ironing and sewing in my wheelchair with minimal movement and the correct height! Thanks for offering this giveaway. I would say use some pretty boxes in your cabinets for storage, that way if the doors are open, it is still pretty to look at. The boxes keep everything organized. Took an old door and had my husband attach it to the wall…it is over the sleeper sofa in the bedroom and can be put up or down depending if I have guests. It is great work surface for working on but disappears when we have company. I love to recycle and one of the best things I do is use the foam pieces used when you have a pedicure . I place my filled bobbins in the spaces where your toes would go and no more loose threads. I also attach a zip lock bag to the front of my sewing station to put all the threads & fabric trimmings that occur while sewing. 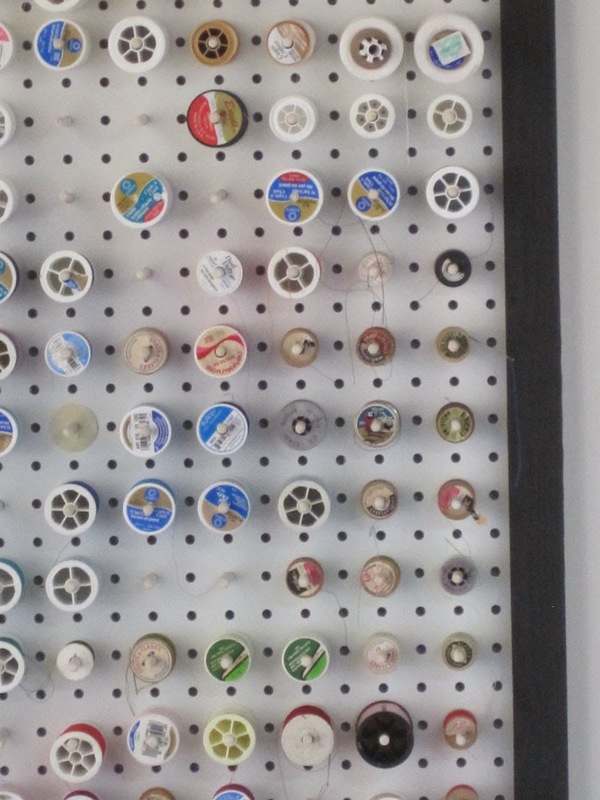 I use clear plastic tubs for spools of thread and sort my material by type of fabric . Have shelves lining my sewing room with the tubs lined up. Also works for patterns. I use the clear plastic bags that Sheet sets come in to store sewing notions, thread, sewing and quilt fabrics and patterns. The zipper keeps everything safe and secure in the bag. Everything can be easily seen through the plastic. They are small enough to stack in a basket, in a drawer, or on a shelf. I keep my needles and fasteners in a small sterlite drawer system and my Dual Duty threads in another drawer system….my embroidery threads are in a wooden drawer to keep them from fading . I’ve lined my sewing rooms with bookcases and shelves, where I have clear plastic boxes holding my scissors, rulers, and beads and also I have thrift-store metal tins (stacked on top of each other to save room) holding buttons, ribbons, zippers and so forth-each marked for what they hold. I have filed so many treasures into my neatly arranged sewing/craft room I can’t find half of the things I know I have then have to buy more. I rely on plastic containers and baskets. The containers can be stacked and hidden away in cupboards or storage areas. The baskets are a way to keep often used items under control in my work area. I have a chrome wheeled cart which I placed drawer organizers of various sizes in the top bin, plastic see-through storage boxes of frequently used items on the middle and lowest bin/shelf. It fits under my sewing counter and can be pulled out to better see items or wheeled elsewhere if I’m working in another location of the house. Because it is easy to access and find things my family tends to replace items they “borrow” rather than dump them elsewhere. With several of us using the area it works quite well for the most-used items. Comment * I think the wall board would work better if it had a silhouette of the tool behand each one so we can see at a glance where a tool is (or where it’s supposed to be), and where we need to put it when we’re finished and ready to hang the tools up. It also keeps a smaller space more organized with the least amount of frustation trying to find room to put all the tools. Thank you. I took a framed cork board and covered it with cloth that coordinated with the room. 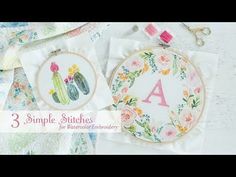 Now you have a place for the odd pattern piece that did not get put back into the proper envelope, an item from a magazine you want to remember, your own pattern, a message or …. I like having a storage cart I can move with me from my favorite chair to my sewing machine. I can keep all my supplies on it for the current project and move it with me. I just bought one on sale at a tool store, and it’s sturdy enough for anything I could ever throw at it. I have a jewelry tray on my sewing table and it holds my scissors, bobbins, tools, etc. That way I can grab it and put it back when I am done. I always know where my tools are at. Another idea I have put to use is to add rope lighting above or below cabinets with a motion sensor. You would be amazed how often it is just what is needed. When I set up my sewing room I wanted a really big cutting table for my really big room. To make it worth taking up so much room I put two book cabinets at each end. These are deep and accommodate all of my threads at one end and baskets at the other end hold remnants. In the center space one side has a bookcase with my machine binders, idea binders and other books. The other side has a short 4 drawer dresser. I love it and it is very practical. I like the under the bed storage containers for my fabric. I put color coordinated fabrics together. My best organizing suggestion is to use a daily pill box to put the sewing machine’s feet into. Each compartment is labeled (open toe, pintuck, etc.) and now I know exactly what I have and where it should be when I need it. I like to save the boxes that wet-swiffers come in to store strips of different sizes or squares or any other leftover fabric. The top is clear so you can see in them or you could mark them with markers. My favorite storage idea is to use decorated pringle cans to store knitting needles and paint brushes. I use the wire cubes to organize my sewing room somewhat then I put projects in clear plastic boxes so I can see what is in them. I store those in the cubes. These work well because I am in an attic room with a heavily slanted roof. I really would like a sewing room as the one you have because it is great with so much storage space. I use clear containers to store smaller things. This way I don’t have to open them to find what I’m hunting. I have hooks on the side of my cutting table to hold all of my large rulers. And a hanging basket at the other end that holds the smaller rulers and templates. Everything is easy to get to. A friend of mine made a “door apron” that fits over her sewing room door. There are large pockets for all her rulers and smaller pockets for the smaller items, rotary cutters,scissors, etc. It keeps everything in place. My best storage idea is my extra large closet I have when I moved into my villla. I installed all kinds of shelves to hold all manner of material and anything related to my quilting, sewing and crocheting. I love the organization and have plenty of room. My idea was to purchase the 3 drawer plastic rolling carts on sale. One fits nicely under my sewing machine table and extra bobbins, thread, tools and accessories are right where I can access them by rolling my chair back. Because I currently rent my home, all of my storage has to be easily movable. I have several of the tall plastic tower of drawers equiped with wheels to store my sewing notions in. They are easly moved to where you are working at and you can put things back in place when you are done. I love it that you can see through the drawers to easily locate items as well. I bought shelving units at ikea and little drawer units and cupboards. I put my threads and sewing needles, machine feet and notions in the drawer units. I put my fabric in the large see through plastic boxes. The units I bought are the large square units. I bought the 16 squares, but may buy the 25 square units for my yarn too. Everything in 1 place. I use a bolt and screw storage box to organize my machine feet and small notios…labeling each small drawer with its contents…attached to wall at eye level when sitting at my work space. I use empty tissue boxes to store ribbon. They are stackable, and you can feed the ribbon out through the slot. I recently received some bathroom cabinets and will be redoing them for cabinets in my crafts room. Shoe boxes !! I’m a shoe box girl. 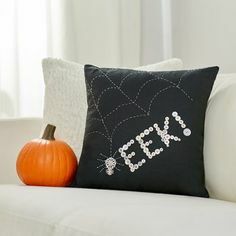 I cover them with all kinds of stuff, fabric, gift wrap, scrap book papers….lot’s of patterns and textures. They come in various sizes, so I’m able to store some quite large items, even whole projects that I’m working on. They’re my favourite organizational tool. Great new studio!! My fave organizing idea is to store things in see- thru plastic – zipper-top bags/etc. They come in lots of shapes & sizes and this makes it sooo sew easy to find what you are looking for. A mechanic’s tool chest with graduated drawers, on rollers, is a great way to store quilter’s rulers & all the other tools needed for quilting. It keeps things organized so you don’t have to “dig” to find that what you are looking for is at the bottom. You can sometimes find these online used or at a flea market or garage sale. My sewing area is a very small table. I have shelves and plastic drawers on it. would love a true sewing area, and storage or ideas for storage. I bought some steel shelving and clear plastic bins. I use my labeler to print labels for each bin. I store project instructions, prototypes and samples and supplies in the bins. I also use them for tools, thread, and fabric. I print out a lot from the internet, and have to put them in notebooks to keep them organized. My favorite organization item is the craft table I made in my sewing room. I used four (9) cube organizers and a piece of furniture grade plywood for the top. The top is the same size as my cutting mat (3′ x 5″). I don’t know how I did without it! I purchased a pretty jewellery cupboard which was broken into segments which were covered with different coloured wallpaper. The segments had pretty different coloured ceramic knobs at the top – from this I hung all my ribbons. I can see at a glance what ribbon is needed and it makes my sewing room look really interesting. I use a nuts/bolts type cabinet with 60 little drawers to store buttons by color and type. It hangs on the wall. Use a broken plastic clothes hanger for your ribbon..You are recycling an item. 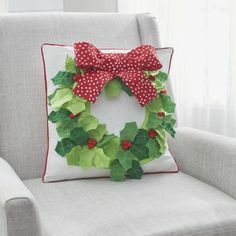 it’s inexpensive, and holds quite a few spools of ribbon. I use a 10 drawer unit to organize the small fabric scraps I keep for foundation paper piecing. It helps to quickly find the shade and color I want. Either clear plastic or fabric containers that can be labeled for the overhead cabinets. Also, attach three thread spool racks to the wall (1-embroidery thread, 1-sewing thread, 1-speciality threads). Add lights under the cabinets, a chair that converts to a step stool, cork to outside of two upper cabinet doors (ideal area or future projects), peg board for hanging rulers, matts, and miscellaneous items. I put my fat quarters, sorted by color or theme (reds or animal prints), into clear plastic shoe boxes. This way I can see if I have a particular color or pattern just by turning the box over. If I need more information I can open the box easily. To keep my stash of quilting/sewing fabrics organized, I picked up a number of seagrass baskets on sale to use in a large bookcase, I’m able to store my fabric collection in these and keep it organized as to color, pattern, size etc. I can’t wait to see your sewing studio finished! I hope to get some new ideas for my sewing area! For those that like to collect buttons, buy some muffin tins, either new or from a thrift store, and sort your buttons by color, style (flat or with shank) or metal. I love plastic bins and zip bags for keeping project materials together. My “mending kit” contains needles, straight pins, scissors, and white, ivory, silver, charcoal, navy and red thread. With these colors and supplies, I can easily mend most anything! My favorite storage idea is using an office tiered file holder to hold all my acrylic rulers all in one neat space keeping them all easily assessable when needed. Re-organizing my sewing room so looking forward to some new ideas you my use in your new Sewing Studio. I have a spool rack hanging on the wall. I keep the different colored threads together so I always know what colors I’m out of. I just moved to a new to me. house and my sewing room is a former enclosed patio. Lots of great light, but few walls for cabinets. Need inspiration…. Our entertainment center on the only full wall of the room. It will hold my fabric, but I need ideas for using the shelving so it doesn’t look cluttered. I have a 42″ wide window in my sewing room. My machine table is right in front of it. So I built a 42″ long bobbin holder on the window sill. I took a 1-1/2″ square block of wood 42″ long and drilled holes every inch and a half into the block. Then I pounded in 2-1/2″ lengths of dowel rod into each hole. Painted it up to match the window trim, screwed it into the sill and now I have a great bobbin holder to organize all the beautiful Coats and Clarks thread bobbins! And so handy right next to my machine. No more searching for the right bobbin color. I love the roll storage bins, it is easy to see what you have and they come with different sized drawers for different organizing needs. I have turned an unused closet into my sewing storage. I added wire shelving . Sewing items are sorted and stored in clear plastic bins. Keeps everything neat and accessible. I store apparel fabric in clear plastic bins to keep it easily visible and dust-free. Quilting cottons are in a bookcase.behind a curtain. I purchased an inexpensive cabinet with multiple shallow drawers to organize scissors, thread, zippers, sewing tapes, needles, machine feet and measuring and marking tools. I keep like with like and always know where to find what I need. Each drawer is labeled, too. I save the box from Q-tips to collect small strips of fabric left from quilting projects, t colour code the box ( which is like a little drawer) by adding a matching coloured buttons to the sleeve as a pull to open the box. They stack easily and take up little space. I like to be able to have my notions in a drawer & easy to find. (Not like a junk drawer.) Cupcake/muffin tins, egg cartons, silverware dividers, & mini tackle box make wonderful dividers. Store in see-thru or open containers. Beautiful boxes are fun to look at but can cause frustration in searches. Thread on racks on the back of a closet door works great for visibility and keeping the dust off. I have turned the closet in my sewing room into my sewing organizer space with roll out baskets and shelving custom sized and arranged ito accommodate quilting and embroidery supplies. One of my favorite organization tools is to use a hardware/fishing lure storage unit with clear drawers to store assorted sewing items. It’s a great way to have all the threads and notions together and see exactly what you have. They come in a variety of sizes to fit different storage spots and needs. I save all of the bags from linen purchases and us them to store projects I am working on. I also use clean pizza boxes to store quilting blocks. I use clear plastic containers for other storage and label the outside. I made an organizer that hangs on a door in my sewing room to store my machine embroidery hoops. I also use lots of stacking plastic bins for other storage. My thread is stored in clear plastic containers and some of my embroidery thread is on a thread rack. My embroidery designs on a disc are stored in a DVD rack. I used the extra compartment holders from my dishwasher for cutters, pens, small rulers. I use a lot of those plastic shoe boxes to organize things. They contain my fat quarters separated by colour, hold complete small projects, keep my glue gun and glue sticks together and catch all my scraps. I use canning jars to hold small things like bobbins and buttons. My favourite storage idea is converting wooden wine cases into thread holders. Works great and looks also very nice. really simple but I recently got a long piece of corrogated carbroard, put in slits along the long edge, anbd wrapped ribbons round. no more tangles and I can easily see what I have. simples! If that square corner is for a sewing machine or a pc it would be better if it was angled across the front. and use LED lights under the cabinets for better light. We just did my sewing room last year and my machine is in the corner like that but I have a shelf that goes around the corner. I put some cute sewing notions on it (an old toy sewing machine, an old Singer sewing box with handles(small) etc. I have a dual sewing and embroidery machine. My favorite bobbin, needle storage is a mini pocket pak double sided fishing tackle box (6 x 3.5 x 2). One side is for sewing bobbins the other for embroidery bobbins. I recycle clear jars from piclkles, peanut butter … for storing items. I have a whole shelve full of them with various itmes I used in my craft and sewing room. I can find what I need at a glance and at my arms reach. While I’ve got a LONG way to go with organization, the best things I’ve done so far are thread racks on the wall so I can see ALL spools of thread, and shelves added to a closet so I can stack fabrics and place tubs/plastic boxes of trims, patterns, yarns, etc so they are visible. My fun and recycled organization idea is to take cans of different sizes, paint them in different colors and use them to organize different tools. one can for pencils and pens, one for seam rippers, scizzors,etc. Every tool in its place and easy to find. I keep all my small pieces of ribbons and trims in zip lock bags according to color. So much easier to see what I have. I like to use clear plastic shoe boxes to store my smaller pieces of material. I find it easier to find a color I might need for a project, plus they stack so look clean and neat on a shelf. My sister and I are quilters. We have a stash of fabric that you would not believe. We found that the best way to make room for our fabric was to collect empty bolt card boards and to wrap our fabric onto them an it saved us a lot of space. If we had just a small amount of fabric we cut the card boards in half and wrapped them that way. I store my fabric stash in a lawyers book case. It keeps it readily available and I can see every piece of fabric that I have! my fav organizing idea is a pegboard wall i also have a small walk-in closet with narrow shelves on one side to hold folded fabrics, ft. qtrs etc. I love your new studio and wish I had that much storage space. I purchased a cubbie style bookcase with twelve large spaces for storing all my fabric for quilting. I can see all my fabric and yet it leaves me more floor space for my sewing cabinet and quilting tables. 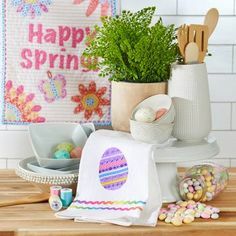 A quick organizer is to use a purchased potholder, one with a pocket, and use it to insert dressing making shears, pinking shears or favorite fabric cutting scissors to protect the blades when not in use. 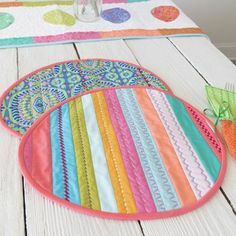 Lay the potholder next to the sewing machine and readily have your scissors on hand. 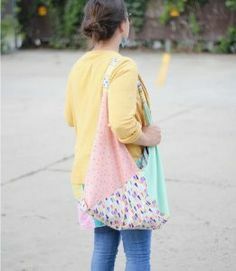 My favorite storage idea is to put what I need for a project in a tote bag, so when I have a few minutes I am ready and do not have to waste time looking for items. We used a kitchen table as cutting table, but they are to low so I used the 3″ bed lifters under the legs to lift to my height. Plastic drawers bins are under the table. My sewing table is a hollow core door (cut down a bit) with plastic drawer bins at the ends to hold it up. Use one (or more) “over-the-door” multi clear plastic pocket shoe organizer on the wall of your sewing room to keep numerous small craft tools and supplies organized. I use an old wire record holder to store my smaller rulers. Im very much into repurposing things for other uses. I use clip hangers to hold quilt blocks all together as I make them for a quilt. They hang easily on a door knob, hook or even a nail. Ok, I am a ‘Sewing Hoarder’. I am also forever trying to refine by organizing of Fabrics, Notions, ribbon, tools, machine accessories, etc. I was lucky to get a Coats & Clark Speciality Threads cabinet when a local Joanns moved . I also got a McCalls Pattern cabinet. These two cabinets have helped tremendously. I have 2 rooms dedicated to Sewing/Crafts. I also use various sizes of clear plastic stackable storage. I have been told I have a Fabric /Sewing store in my home….LOL ! My husband made a thread rack out of peg board. He bought 3/4″ wooden dowels at the hardware store and cut pegs. He glued the pegs in the holes of the pegboard and then spray painted it white. Then he made a wood border. Painted it black and attached it to the pegboard. Hung it on the wall and walla! I have many pegs to hang my thread spools. Love it! I repurposed a large computer desk and a armoire to use for storage of my sewing and craft items. Try to stock up on plenty of the same sized containers. It is a lot easier to fit storage containers in cabinets when they are compatible with each other! I use one of the christmas wrapping paper storage containers (the stand up ones) for storing my interfacing in. I get empty fabric cardboard bolts, cut them in half the long way, put tape on the cut edge and then wrap the interfacing around it. Then i either cut the name of each kind from the paper direction that come with or write it on the end of the bolt. I keep this under my cutting table so i just slide it out and can see at a glance which one i need. Congratulations! You are the winner of the give-away. You will receive an email soon requesting your contact info. My favorite is a square tool holder from Home Depot that holds all my notions: scissors, rulers tape, needles, pins, hem gauges etc. When I go to a class I just grab it and all my notions are in it. My favorite idea is to use a dish hutch for storage. I do not have an area I can designate for sewing storage, but I did have a small empty wall in my kitchen. I picked up a mid-century maple dish hutch from Craig’s List and put it on the wall. It looks appropriate in the space, and there are plenty of shelves and drawers to store my material, patterns, thread, and other sewing supplies. The 26″ high X 12″ wide rolling carts with drawers fit perfectly under any standard table one might have and use for a cutting table. They can be found with a variety of drawer sizes…my favorite has four short drawers and one deep drawer on the bottom…PERFECT for keeping sewing thread out of the light and the dust! in the top drawers and serger or other very large spools in the bottom drawer! When we bought a new TV, I took the old stand and made it my embroidery station, It holds everything and I love having all my embroidery things organized in one place. I have a lazy Susan for kitchen utensils that I have repurposed to hold my rulers, markers and rotary cutters. my favorite trick is to get rid of something every time I want to buy something new. 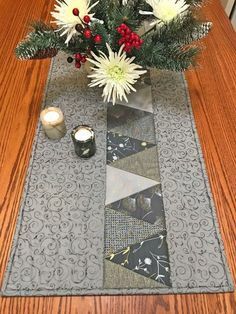 for example if I absolutely need that new great fabric, I make sure to use up something that i have at home immediately so that i don’t get overwhelmed by having too much stuff around. My husband smokes cigars, so I use the old boxes to store items in! Just put on a label and all safe and sound! Congratulations on your new space! I have been lucky enough to get my own space in the past year and I love it! I consider myself organized with everything in its place, but I love the color of the fabric and notions so I try to show off all of my supplies in interesting and unique ways. I love storage that also shows my love for color and kitsch. Right now my favorite storage piece is a vintage white poodle planter with spaghetti trim where I store markers and pencils. I have my gorgeous Coats and Clark thread on a wooden holder hanging on the wall. All of my things combine into a room where I feel comfortable and confident to create! Beth, Would you be willing to share a picture of your space? In my craft room I put up a bunch of open shelves. Then I got the decorated boxes for storing photos in. I like these because they already have a holder for a label. I then was able to organize virtually everything and keep it all out of sight but within easy reach. The labels made it easy to find what ever I am looking for. I have about forty of them. They look pretty on the shelves but all is tidy. I keep filled bobbins together with the matching thread spools. I have two large “lockers” from my Dad’s High School. Mom had used them as pantries. We stained them red, put a shelf between them to hold the computer. Peg borad in back. Put in shelving. Two shelves hold printer & supplies. Rest is taken up with STUFF. My best sewing organizer is an old Simplicity metal pattern cabinet that I bought from a store that was going out of business. The dividers are great for my patterns and fat quarters. I used the bed risers my daughter had in college to raise my cutting table. Now it is a much better height for me to work at. I also have a needle book made of felt that I keep my hand needles and machine needles in so they don’t get lost in the pin cushions! I like to use clear jars (plastic or glass) to keep my spools of thread in and i like large see-thru containers to keep my fabric in. I have an old dresser that I refinished. I store most of my embellishing supplies and quilt kits in the drawers. My best storage idea – recycle my wine corks by adhering them to an old picture frame with hot glue – an inexpensive place to tack sewing instructions and quilt pictures. I keep all my buttons in different mason jars so I can see what I have when needed. And to add a little color to the jar I add fabric to the top. My best idea for my sewing room was to share it with my husband and his computer. Hes happy to be with me and I with him as we happily do our own thing. I shop in the hardware section of my big box stores for storage ideas – it’s always cheaper than the “sewing/craft” storage department, and usually the same thing. 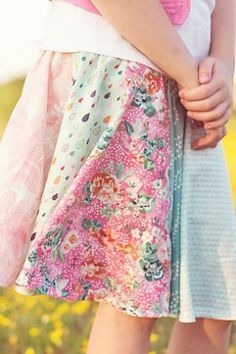 A little mod podge and you have something beautiful. I love 3M’s Commando stick up hooks (the style that has a metal not plastic hook) for hanging rulers, scissors and other assorted things. They are fantastic and can be repositioned or moved if needed. 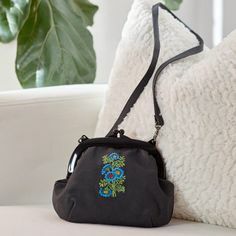 Would LOVE to win this thread, love C&C! I save the plastic zippered pouches that sheets and pillowcases come in to store current quilting projects. I usually have multiple projects going at the same time. It’s easy to see what is inside ans stores nicely! I use one of the shoe holders from Home Depot with the box like slots to hold my stabilizers and other things that fit in them.It holds a lot of things that otherwise are hard to find in a drawer or stack or big container. It also holds some plastic boxes that I have labeled on the front so I know what I am grabbing to use. I purchased a second hand executive desk. My husband did a cut out on the top so my machine can set in for a large level sewing surface. The desk has 9 drawers and 2 pull out trays. It is amazing! The thing that I like most is my little crochet hook container. It is a round plastic container with a screw on lid that once held candy – I confiscated it from one of my grandchildren. It is perfect for my little assortment. Great cabinets in your new place. its really amazing. thanks for sharing this useful information.